You could call this an "Unlucky Vivid"- it's that close to being a Vivid Yellow. 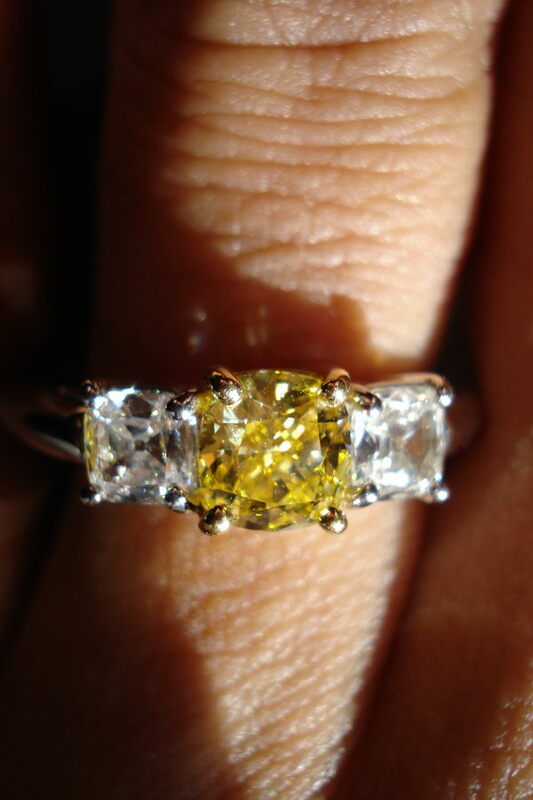 Or as Maxwell Smart might say "Missed it by that much"
Seriously- when judging an intense yellow, it's very important to keep in mind that some intense yellows are borderline fancy yellow diamonds. 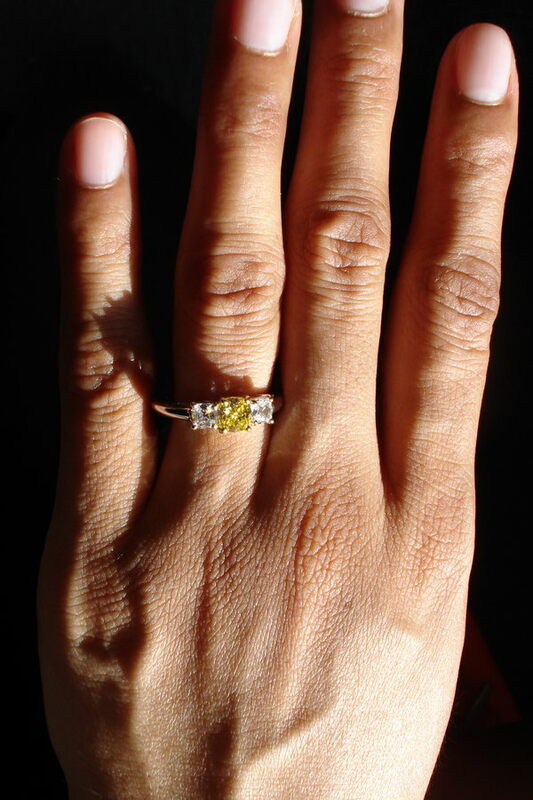 Others are right in the center of the range that GIA will grade fancy intense yellow. Still others are stones that are very close to the mark of making a vivid yellow. This is one of those cases. The diamond looks just like a vivid to me! Of course it's only unlucky for the cutter. Even though, the least expensive intense yellow of this size you may find, it's certainly nowhere near the price of a vivid yellow. Plus, it's a VVS-and that's always worth a lot as well. As you can see, the cut is gorgeous too. all actual photos of the diamond and ring we are offering. The three stones go so well together.. Please notice the wonderful antique style cut of the side diamonds. They are very brilliant, yet the land such a vintage air to the ring. The ring is hewn of platinum and 18karat yellow gold- fully custom made and immaculate. Legaleeze ALL PHOTOS ABOVE ARE OF ACTUAL DIAMONDS BEING OFFERED UNLESS OTHERWISE IDENTIFIED. All photos are the sole property of Diamonds by Lauren/Rock Diamond Corp. Any unauthorized use will be prosecuted to the full extent of the law. 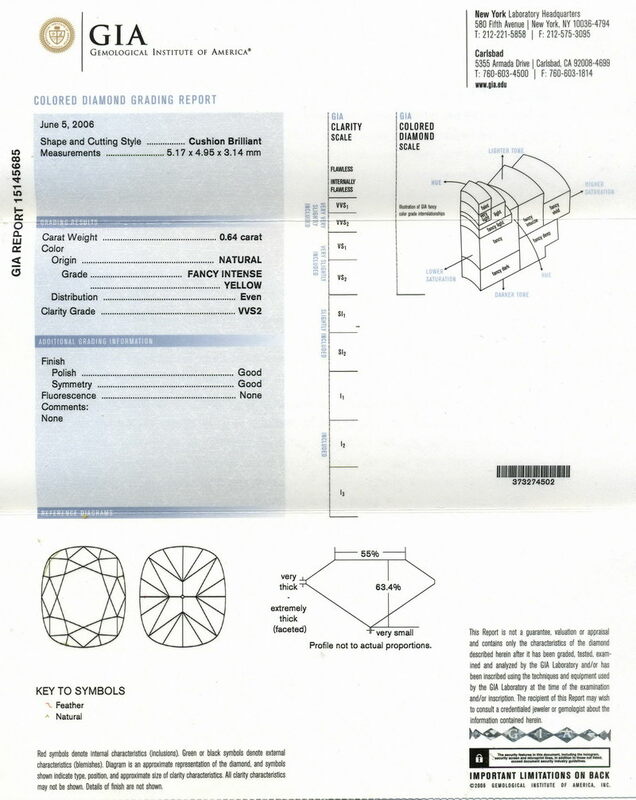 GIA DOES NOT ENDORSE OR CERTIFY ANY DIAMOND OR SELLER. If the term GIA Certified, or GIA Certificate appears in this auction, it is NOT meant to imply that GIA endorses any diamond OR diamond seller in any way. 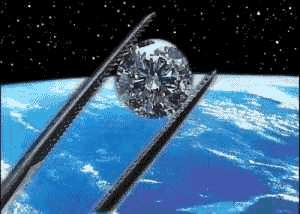 WE SELL ONLY NATURAL DIAMONDS. NONE of our diamonds have been treated, altered, irradiated, laser drilled, fracture filled, clarity or color enhanced in any way. Purchases We love first time ebay buyers. If this is your first experience with ebay, you MUST write to us first so we can go over the procedure. We reserve the right to immediately relist items bought by those with negative or insufficient feedback that fail to communicate with us first. and quality of product- I do NOT mess around. YOURS: ALL SHOPPERS WITH LESS THAN 10 FEEDBACKS MUST CONTACT US PRIOR TO BIDDING. Bids from these bidders will be immediately removed unless you write to us before you bid. We accept all major credit cards, processing them directly over the phone, or email as we have since 1999. Our credit card charges are handled by JPMorgan/Chase Merchant services. This provides you maximum security- equal to any method, including Paypal. Please check our eBay store - we have categories for all the yellow GIA color grades.